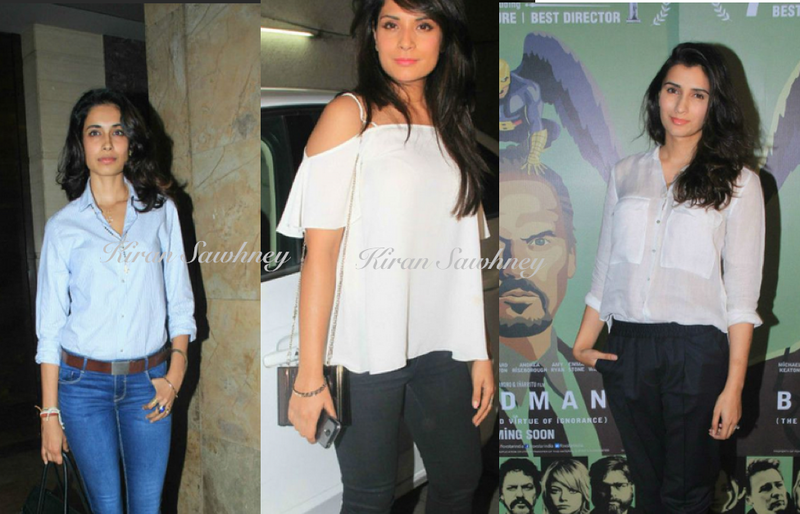 Top Indian fashion and lifestyle blog: Birdman special screening at Lightbox. Birdman special screening at Lightbox. Amitabh Bachchan's daughter Shweta Nanda. Sarah Jane Dias, Richa Chadda, actress Pragya. Did they all decide to be similarly dressed? Was there a dress code? Shweta Bacchan was in cream net top and jeans. Sarah Jane Dias in light blue shirt and jeans. Pragya in white shirt and black skirt.